Yvonne Lawson is founder and CEO of the Godwin Lawson Foundation (GLF). Born in North London, she lived with her family in Ghana returning to London when she was 15. 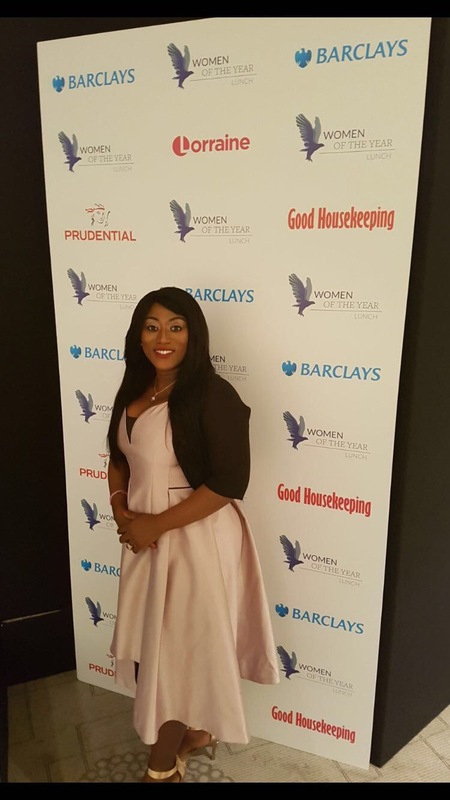 After attending secondary school in Tottenham and studying Business and Finance at college, Yvonne worked for a local authority before completing teacher training at Middlesex University, and spending 16 fulfilling years as a primary school teacher. She is married to Calvin. Yvonne despite having a close family unit was devastated by the tragic loss of their oldest son Godwin in March, 2011. Popular, kind and ambitious, Godwin was talented sportsman who was attending Oxford United Football Academy on a scholarship. Godwin was stabbed in the street in Stamford Hill, trying to stop two of his old school friends being attacking by four young men. He was just 17. GLF was founded in memory of, and inspired by Godwin’s life. Following his death, Yvonne began researching gangs and knife crime. Shocked by its scale and impact, she became determined that Godwin’s legacy should be something to help keep young people safe, and prevent other families having to go through the pain and loss that hers had suffered. Yvonne and Calvin initially organised Memorial Peace Marches in memory of Godwin and all other victims of knife crime, to build awareness of the high levels of knife crime and its consequences and appeal for peace. In 2012 Yvonne set up the GLF, a registered charity that aims to advance the education of young people so that they can develop their capabilities as members of a tolerant society. Yvonne uses Godwin’s story to illustrate the terrible and far reaching consequences that carrying knives can have, and to educate young people on how to keep themselves safe, reach their full potential and make a positive contribution to their communities. Projects to date have directly reached some 3000 young people in North London by means of presentations and workshops. Presentations for around 2500 are currently scheduled. In March this year GLF won the public vote to gain funding for their ‘Empowering Girls’ project which will work with 40 at risk girls in local schools. The Peace Ambassadors are young people who have attended GLF workshops and want to work with them to support other young people. Around 30 volunteer at GLF events and provide peer support in their schools and communities. Yvonne also gained the support of the Tottenham Hotspur Foundation which has hosts the annual GLF Memorial Football Tournament. Around 500 boys and girls have so far been involved in the 5-a-side tournament, and the event also includes presentations. Recognising that the law did little to deter the carrying of knives, Yvonne campaigned for change. With the support of the then Enfield MP, Nick De Bois she met and gained the backing of top politicians including David Cameron, Theresa May and Boris Johnson. As a result, new legislation came into force on 17 July 2015 requiring a mandatory sentence of at least six months for anyone caught carrying a knife for the second time.